NARI Metro DC is a proud member of the Construction Industry Alliance for Suicide Prevention in partnership with Construction Financial Management Association (CFMA). Construction is the number one industry for number of suicides and the number two industry in suicide rates. As such, it is an industry imperative to shatter the mental health stigma and create caring cultures within our companies. 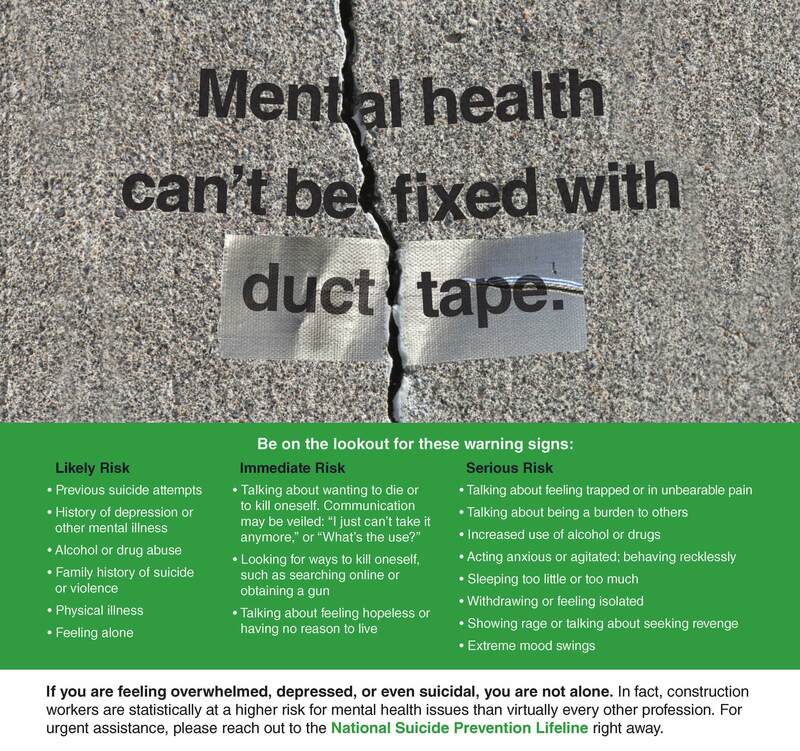 The overall goal is to provide information and resources for suicide prevention and mental health promotion in construction.